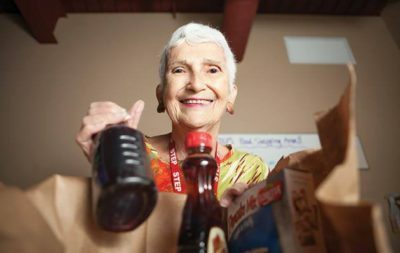 Through the years, STEP has provided basic needs and touched lives of St Louis Park residents in extraordinary ways. You can help ensure that this vital service is here for future generations by giving a gift to STEP through your will or estate plan. STEP’s Legacy Goal to build to a fund of $3 million by 2028 would fund 20% of our annual programing. Planned gifts are donations made to STEP as part of a donor’s overall financial or estate plan. With a little forethought and planning you can make a significant gift to STEP without affecting your lifestyle or your family’s security. Planned giving is an option for virtually anyone at any age or financial circumstance. By using common financial tools — insurance policies, retirement accounts, trusts, charitable gift annuities, and more — you can maximize your assets and leave a larger legacy than you might have imagined. In doing so, you play a vital role in the future of STEP. 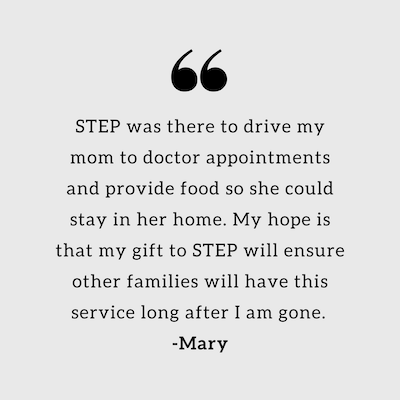 By planning your giving to STEP, you provide for the community’s future. Thanks to previous donors, STEP has created a Legacy Fund to provide earnings for future year’s programming. 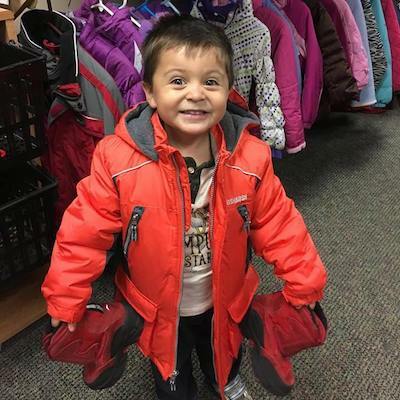 Your gift can help STEP reach our goal for long-term resources to weather future challenges. Your gift can grow our Legacy Fund or you may choose to direct the gift for a specific purpose. STEP will work with you to determine the best ways to fulfill your goals. In addition to ensuring the financial well-being of your loved ones, a life insurance policy is a powerful philanthropic tool for you and STEP. Moreover, the gift arrangement can often be made with little or no additional long-term costs to you. Gifts from a will or living trust are among the most common and most impactful planned gifts. If you’ve ever wanted to make a significant gift to STEP but didn’t want to sacrifice potential income from the gifted assets, a “life income gift” might be right for you. Address: 6812 W Lake St, St Louis Park MN 55426. Contact Derek at derek@stepslp.org or 952-925-4899. 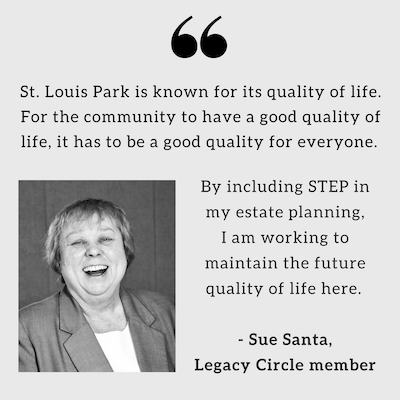 You decide how much to share about your plans whether or not to be publicly listed as part of STEP’s Legacy Circle. Appreciating those who have made a planned giving commitment.